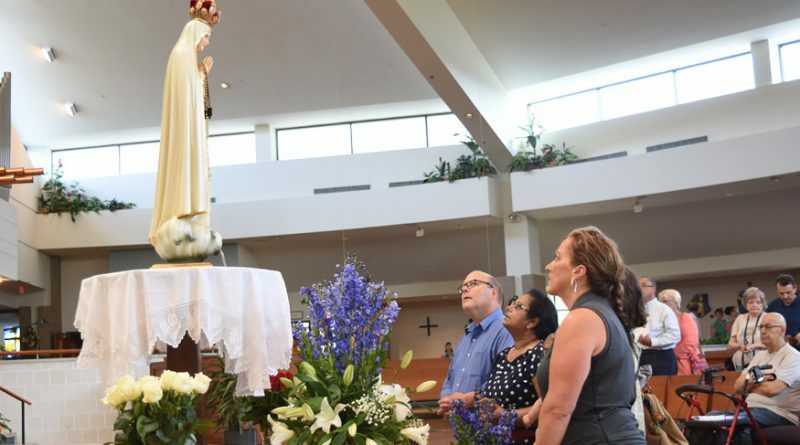 CEDAR RAPIDS — From March of this year to December of next year, the International Pilgrim Virgin Statue of Our Lady of Fatima is traveling across 100 dioceses in all 50 U.S. states to mark the 100-year anniversary of the apparitions of Fatima. The statue will be in the Archdiocese of Dubuque this Oct. 27-29, stopping first at St. Patrick and Immaculate Conception Churches in Cedar Rapids, then at the Basilica of St. Francis Xavier in Dyersville. The 42-inch tall wooden statue was carved in 1947 by sculptor Jose Thedim who worked closely with Sister Lucia de Jesus dos Santos in its creation. Sr. Lucia had been one of three shepherd children – along with her cousins Francisco and Jacinta Marto – who were visited by an angel on several occasions in 1916, before experiencing six Marian apparitions the following year near their village of Fatima, Portugal. 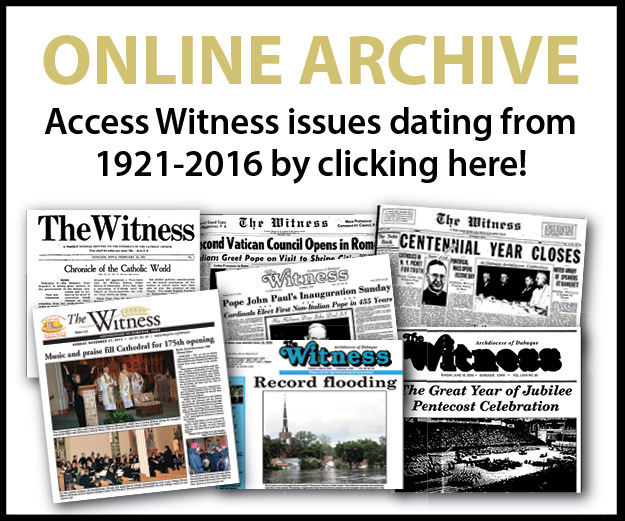 According to the World Apostolate of Fatima, U.S.A., when Mary appeared to the children of Fatima in 1917, her message was threefold: she confirmed the existence of hell and urged reparations for sin, she said that war is a consequence of sin, and she explained that the salvation of souls and world peace would require the conversion of sinners. 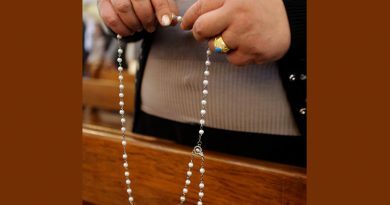 Mary is also said to have made several requests at Fatima, asking that the faithful pray the rosary daily, offer up their suffering for the reparation of sin, consecrate themselves to the Immaculate Heart of Mary, wear the Brown Scapular, and practice the “first Saturday devotion” which includes among other things going to confession and receiving Communion the first Saturday of each month for five consecutive months. The International Pilgrim Virgin Statue of Our Lady of Fatima was one of two identical statues blessed by the Bishop of Fatima and commissioned to bring Fatima’s message of peace and conversion to the world. For nearly seven decades it has traveled the globe, visiting more than 100 counties worldwide. When Geralyn Ward, the DRE at St. Patrick’s in Cedar Rapids, found out the statue would be coming to the United States in 2016 for a two-year centennial tour, she was interested in having it visit her parish. 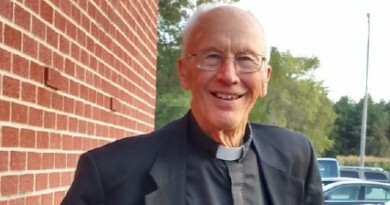 Ward reached out to her pastor, Father Ivan Nienhaus, and Archbishop Michael Jackels to get permission to bring the traveling statue to the Archdiocese of Dubuque. “We’re very excited to offer this experience to our parishioners and the faith-filled throughout our archdiocese,” commented Ward. Kim Smith, the public relations consultant for Immaculate Conception, said that shortly after her parish secured a spot on the tour she posted on Facebook to announce the statue’s upcoming visit and was blown away by the response. Smith believes the presence of the statue at the parish is a “tremendous opportunity,” one she hopes will result in “massive conversions” among the crowds that come to see it. “My prayer is that Our Lady brings about whatever kind of transformation may be needed, whether it be a lifestyle change, more reverence for the Eucharist, or a conversion for someone who has left the church or is an atheist,” she said.